Will tell on you! This doper that beat that fella in front of the other doper. 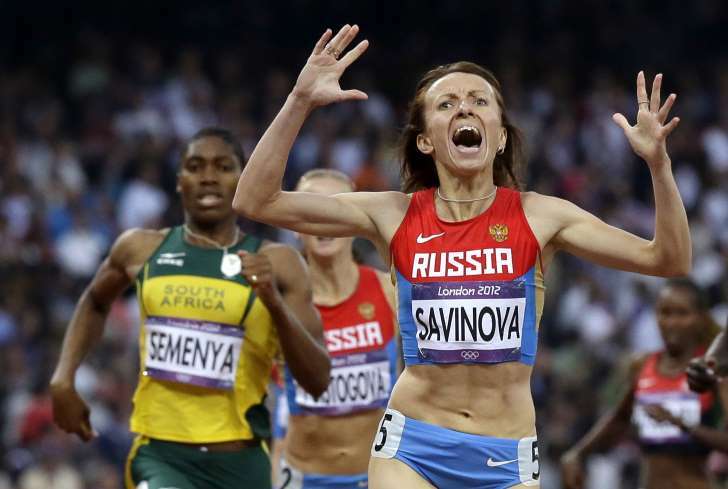 The 2012 Olympic Women’s 800 meters was this punchline away from a complete joke. This entry was posted in Uncategorized on February 14, 2017 by runguru. Its full on here at the Bar None. Dozens of flats started, little seedlings emerging from most. Stubborn stragglers requiring a sprinkle of faith. Linda and I have cut our teeth in the organic gardening arena and now its time to get down to business. But the business end is my least favorite suit. Cost analysis, bleh. Yield projections, blek. Market trends easier when you set them. We tend towards the leading edge, bold selections requiring an educated public. Salesmanship. It is the down and never dirty work that appeals most to me. Hands and knees, or as neighbor Dave regularly reminds, “nothing but assholes and elbows!” Probiotics from the soil bolstering our immune systems before we ever taste of our efforts. Chores. Start at dawn. End at dusk. Loving every day, every sprout, every leaf, every fruit of Real Labor. Perfect metaphor for the life Linda and I have chosen. Working together. Side by side. Every day. Two Peas in a Pod. This entry was posted in Uncategorized on February 13, 2017 by runguru. Full results from yesterday’s Valentine’s Day Runs on the banner above. 140 registered, 122 finishers. The trio from Colorado, entry fee returns in Friday’s mail because they couldn’t make it and they asked. Photos on our 2017 Two Rivers Valentine’s Day Runs facebook page. Larry Hamm of Des Moines contacted me over a month ago, wanting to make absolutely sure the races were USATF Certified. He competes for national points in the 60+ age group but the runs ONLY COUNT if they are legit. A dozen or so were running their very first 5K or 10K ever. And they couldn’t have gone away any happier. This is how you do it then. Catering to runners of all ilk. It took a while but the Nebraska Run Guru Events, Inc formula is taking root, sprouting like collards on a heat mat. I can’t say enough about our volunteers. Huge thanks to y’all, from me and from our runners. Tim Fry and several of your Club 402 runners, thank you. Kami Alessandro and Megan Bold of Women Run Nebraska, thank you. Tin and Tristan and Nicole and Jackie Freeman of NRGE, Inc., thank you. Catering to the serious USATF runners while offering outstanding amenity/entry fee ratio for every single participant. Including the cat that showed up with less than the entry fee in his pocket. Putting up times that are meaningful in the bigger picture. But only if the bigger picture is meaningful to you. USATF Nebraska Association LDR program. Thank you. Two Rivers State Recreation Area. Park Ranger and long time buddy Mike Carrick, thank you and your staff. Mike was at the Team Nebraska Road Race Management Committee meeting in 2008 when I first pitched the idea of a “Two Rivers Twosome”, the earliest incarnation of our Valentine’s Day Runs. Closed the roads in the park (What you need is permits! ), not a single angry driver throwing gravel, glare or shade. Bakers. Family Fare. Sunrize Donuts. Thank you. West Omaha Cryotherapy. Thank you. Bar None Produce. Thank us. Nebraska Run Guru Events, LLC. Real Runs put on by Real Runners. For your own record books and the USATF Nebraska Association ledgers. I encourage all other local and regional races to get their courses USATF certified for their participants. Give them something to hang their hats on. This entry was posted in Uncategorized on February 12, 2017 by runguru. My old buddy and Houston Marathon Director Brant Kotch added me recently to an Event Management group on facebook. Another old buddy and one of the most respected men in the industry, Jim Gerweck, immediately liked it and chimed in with Groucho’s classic quote “I wouldn’t want to belong to any club that would have me as a member”. I’m not the only Nebraska event director in the group. Just the oldest, with a long history of connections. Here’s a litmus test. Are you in event management to line your pockets, bigger house, a boat, acreage, et blah? That is a distinction I draw between those I respect most and many recent to the game. I’m cool with old school. Do it for the love of the sport. Do it for you. I call bullocks on artificial entry caps, escalating entry fees, b.s. qualifying times, and every other effective ruse to drive entries. Yes, none of my business, except its been my business for almost 35 years whippersnappers. Linda and I have hand written our Valentine’s Day entry list, twice. Transposed that list onto the race numbers. Linda takes the time to decorate each bib. What happens is a connection with our participants. We know a lot of them before they ever toe the line, even if we’ve never met. No computer generated labels to affix. You are more than a line of data in a spreadsheet to us. More than simply another dollar. 1983 Channel Industry Sports Association 5K was my first. Saturday will be my latest. I’ve made every single mistake possible in race directing over that span. Learned from those mistakes. And those that Came Before Me. Acknowledging their contributions to our sport. Even if I didn’t see eye to eye with them. That’s called Respect, whippersnappers. 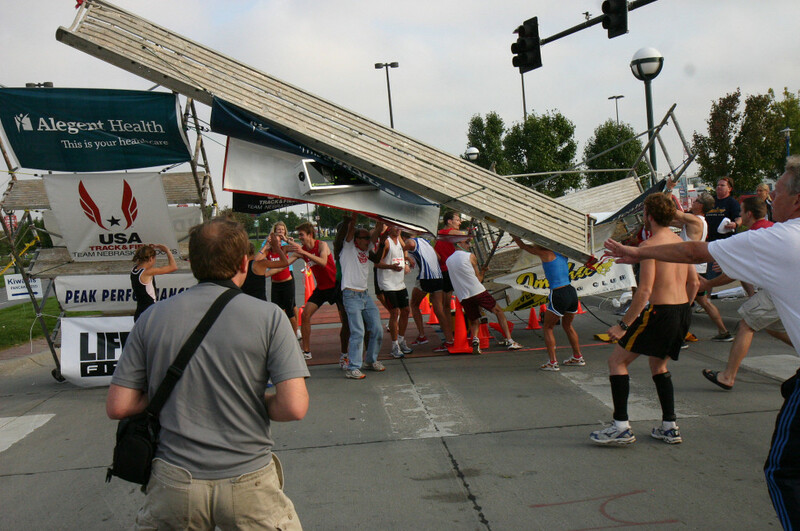 My Greatest Gaffe occurred at the 2008 Omaha Mile. Used scaffolding for the finish line build out. A significant wind change caught the non-vented banners leading to this collapse. Athletes scramble while I hold up the clock and the 300 pound walkway, others rushing in to help. Thank the Buddha the only injury was my bruised ego. I promise no overhead scaffolding tomorrow morning! This entry was posted in Uncategorized on February 10, 2017 by runguru. Slippers like moth’s wings, delicate translucence dancing around flame, the thrill, the allure, the draw. Closest circles, heightened senses, life’s sweetest balancing act. And when you fall, you get right back up. Its what you do. Its your nature. 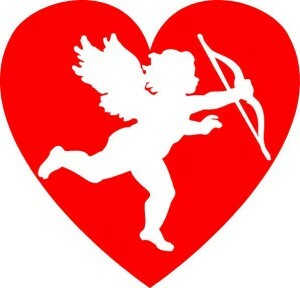 Online registration closed last night for this weekend’s Two Rivers Valentine’s Day Runs. 90 ladies, 35 fellas. You can still register this afternoon during early packet pick up from 4 until 7 pm at Red Dirt Running Company. We’ve kept the same entry fee, $35. No exorbitant price increases, no artificial entry caps. Runs for All Runners put on by Runners. Big thanks to the Two Rivers State Park staff, our community partner West Omaha Cryotherapy and contributors Bakers and Family Fare! And our volunteers! The altitude seems to really get to me. This entry was posted in Uncategorized on February 9, 2017 by runguru. Always happy to lend out volumes from my personal collection of running books. 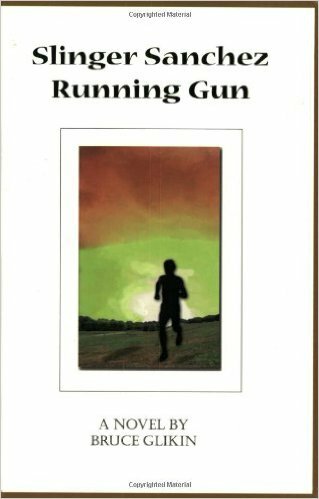 Jackie Freeman just finished “Slinger Sanchez, Running Gun”. Loved it. Written by my old buddy Bruce Glikin of Houston. Here’s the big reveal. It is based on a real runner. And he lived for a time in Omaha. And he was faster than you. The fastest that has ever trod the roads of Nebraska in fact. Anytime. Anywhere. A Texan. This much is true. Leonard Hilton. 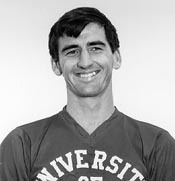 National Champion in the Mile in 1973 & 1975. Personal best of 3:55.90. Finished 3rd to Pre at the ’72 Olympic Trials 5000 (13:40.20). The old timers will remember Leonard moved to Omaha from his native Houston. Maybe a few of them even got to run with him. One way to inspire others is to share stories of excellence. 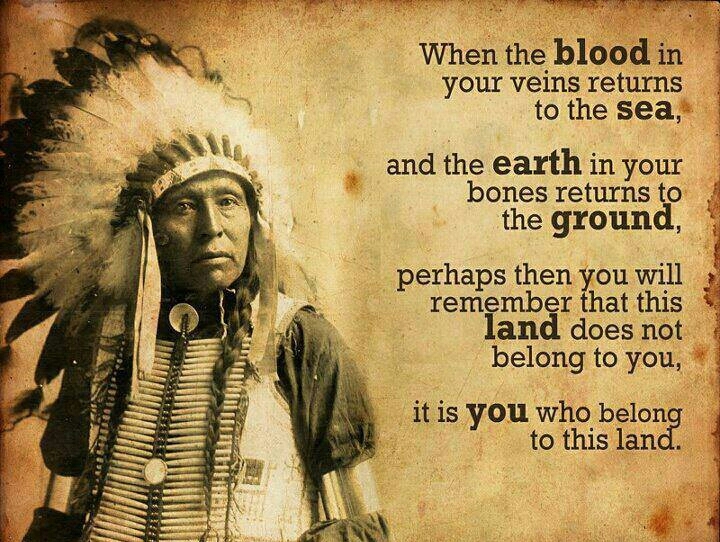 To remind that there really were those that came before. To put efforts and times into a bigger perspective. I moved here in 2001 and with just a couple of exceptions (Kurt Keiser comes to mind), the mid 16s doldrums held sway, trumpeted as greatness. I called BS, dared to insist that a locally decent time is just that. Had a lot to say about women’s running too. With just one exception (Christy Nielsen) saw the need for vast improvement. Hubris born from 7 years as head of Women’s Athlete Development Program. I’ve lost some of my most valuable books as loners. An original “Training The Lydiard Way”, lent out and never returned. “Arthur’s Boys” meeting the same fate. Just my two favorites. The risk you take. Its worth it. This entry was posted in Uncategorized on February 8, 2017 by runguru. Another of my dear, sweet Linda’s favorite lines. Usually after I’ve spent countless hours studying, pondering, tinkering, figuring, estimating, finagling, analyzing, ad infinitum. She will pull the veil of difficulty with the simplest solution. Sometimes it really is the most obvious answers that escape me. Talking with Ben Holmes this morning. He’s a throwback like me. We see things similarly when it comes to putting on races. The Nebraska Trail Run * is the oldest consecutively run trail event in Nebraska. And it doesn’t come close to the great work by Ben and his Trail Nerds. I’m inclined to admire and respect those that have done as much. Let’s move it back to the roads though. Our 4th annual Valentine’s Day Runs started in 2014 with just a small handful of runners, most of them comped entries to my former Team Nebraska mates. 2015 we grew to 30 runners. 2016 we inched to 35. Linda recognized something. All you do is make the Valentine’s Day Runs more appealing to everyone and stop trying so hard to cater to the elites. And now we have 104 registered as of this morning. This entry was posted in Uncategorized on February 7, 2017 by runguru. How far has Nebraska running come since 2000 (b.w.)? You decide. Prior to 2004 there were no post collegiate opportunities for talented Nebraska runners. Most retired or moved away. A very few stuck around, continued to train for training sake. Maybe hit up a local fun run. This past weekend Nebraska athletes peppered the competitive landscape. On Trails. On Roads. On Track. Stacy Shaw (23:55) won the USA 100 Mile Trail 50+ medal, 6th USATF, 13th overall. Kyle Clouston finished 5th USATF under 40, 7th in his age group in 19:20. Jerrod Anzalone made 80 miles in 15 hours before hip issues sidelined. Joe Coil (20:07) narrowly defeated Ivan Marsh (20:12) at the Camp Carol Joy Holling 5K Trail Run. Jay Welp ran 15:44 for the 2nd fastest Certified and Sanctioned road 5K of the year by a Nebraskan. Nicole Norris ran 19:51 at the same Dalton Gang 5K to set a new 2017 Best Mark for our association. Nolan Zimmer ran a fast 14:46 track 5K at Frank Sevigne. Peter Falcon turned in a nice 15:19 on the same oval. Pick a slice, any slice! You’ve got the whole USATF pie! This entry was posted in Uncategorized on February 6, 2017 by runguru. The second in my “Philosophical Friday” series. Building on last Friday’s “MAN AS ALLIUM”. Billions of cells alive and dead. Plants, animals and all things, utterly dependent on those smallest organisms, alive and dead. Man above all with the highest call and purpose. Ability to use some of those cells for cognition, consideration, free will, and action and joy and regret. Hierarchical cells. Assuming important roles at every level. Autonomic most primitive and advanced. Breathe. Pursuing comestibles for the food slit. Eat. Bacteria and flora and fauna. Excrete. Man. You are you and you are what you eat and you are what you excrete. Earth. Its crust made of man. Man made from earth. Earth made from man. Civilizations. Cells. What remains then? What is left in a millennia? Cells. Alive and dead. And Spirit. Imbued cells. Gift to Man. Greater Good. Educating. Enlightening. Entertaining. Enduring. What will your living cells do with the gift? This entry was posted in Uncategorized on February 3, 2017 by runguru. Nebraska has established itself as one of the premiere trail running states anywhere, thank you very much Kaci Lickteig, Ivan Marsh, Pete Kostelnick, Jeremy Morris, Todd Nott, Tim Langdon, Tim McGargill, Justin Mollak et al. Trails and trail runners everywhere you look. Its popularity unquestioned. It has become relevant like never before. The 11th annual Nebraska Trail Run holding the distinction of longest continuously held in the state. And most challenging. But this isn’t about April 1st. This coming Saturday is the USA 100 Mile Trail Championships! Rocky Raccoon down in my old neck of the Texas woods. Known for blazing fast times, it tempts and attracts runners from all over the US. And $4000 in prize money. Nebraska is sending down 4 athletes to contest what I deem unimaginable. Three of them run for Nebraska Run Guru Elite. Kyle Clouston, Stacy Shaw, and Jerrod Anzalone are registered, ready, and raring to go. Their NRGE mate’s Jeff Gregg and Pete accompanying to crew. Joining them will be Cyrstal Foust (unattached) of Fremont. Even though I don’t know how they do it, how they make it, I am probably the happiest and proudest guy around. NRGE representing my state, my spirit, and my USA Championships. Good enough. Some of the roadsters will race at the Dalton Gang 5K this Saturday. We’ve been fortunate with cooperation by the weather gods and look to have another near perfect morning to RUN FAST. The days are lengthening. The more sun the more Bar None work to be done. But these moments of morning musings must remain. 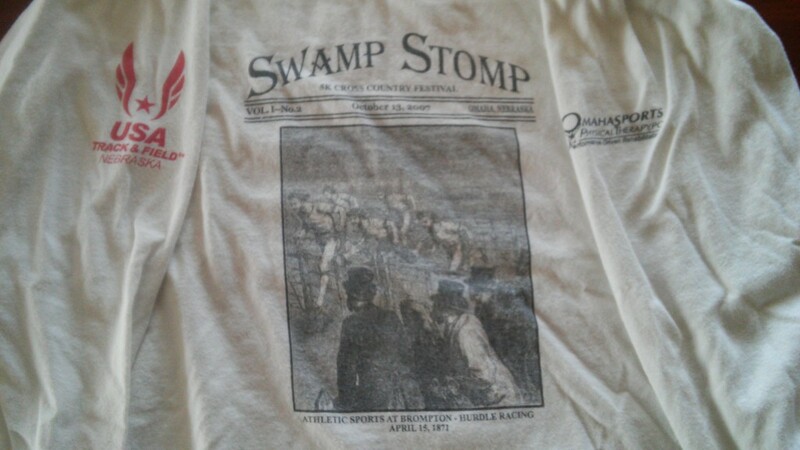 The 2007 Swamp Stomp, the first was held in 2006. Sponsored by Omaha Sports Physical Therapy and brought to you by USATF Nebraska. 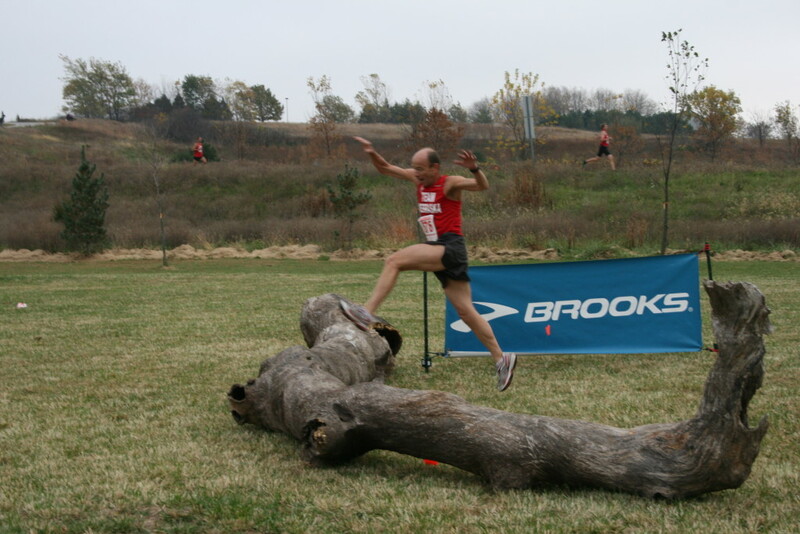 Competitive Trail Running in Nebraska started with The Swamp Stomp and Ni-Bthaska-Ke Trail Runs. It has morphed into one of the most popular aspects of putting one foot in front of the other. This entry was posted in Uncategorized on February 2, 2017 by runguru.